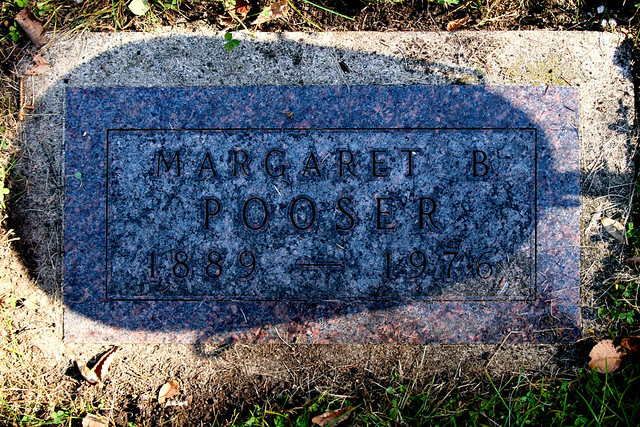 I took this photo of my great great aunt Margaret’s grave marker in 2010. I uploaded it to Flickr, like ya’ do, with a CC BY-NC-SA 2.0 license. I also have given blanket permission for people to use my cemetery photos for their own family trees, family histories, and to even upload them to their family trees on commercial sites like Ancestry. But that CC license requires crediting the creator. I don’t know the person who added the photo. I know they are not a descendant of Margaret, though, because Margaret did not have any children. So why this person is editing Margaret’s info is a mystery to me. 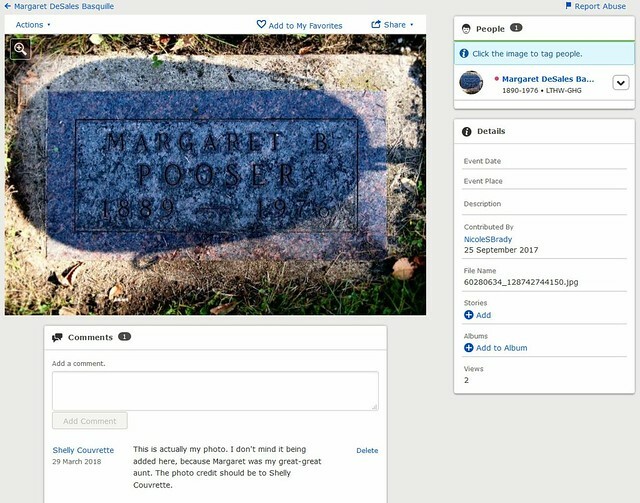 It’s possible she’s related to Margaret’s husband, since she also added a photo of his grave marker to his FamilySearch tree entry (again, taken by someone else and uncredited). Don’t do that. Even if you have permission to use someone else’s photo, you still need to credit them.